Are you passionate about culture and discover the cultural side of the city when you travel? You are in the right place. Here is a collection of articles in which we explained the best of Catalan culture and Barcelona to enjoy your visit. Christmas is coming to Barcelona! Christmas is one of the most beautiful times of the year. Despite the cold, we take our coats to go for a walk through the streets and enjoy the incomparable Christmas atmosphere: lights, Christmas decoration, nativity scenes, Christmas markets, grilled chestnut stalls … there are few things comparable to a walk through Barcelona at Christmas. Therefore, travelling to Barcelona in winter is an excellent plan to live an unforgettable Christmas. A skiing day from a Barcelona apartment is a great idea for those who love snow, but visiting the city is a must. In addition to the hundreds of corners, monuments and places of interest to visit in the Catalan capital, Christmas in Barcelona creates a unique environment giving each street a special magic. Eixample neighbourhood is the name given to the second district of the city of Barcelona, which occupies the central part of the city, in a large area of 7.46 square kilometres that was designed by Ildefonso Cerdá. It is the most populated district of Barcelona and of Spain with more than 250.000 inhabitants. In the Eixample neighbourhood we find some of the most famous streets and squares in Barcelona, such as Passeig de Gracia, Rambla de Catalunya, Plaça de Catalunya, Diagonal Avenue, Aragon street, Gran Via, Balmes Street, Ronda de Sant Antoni, Passeig de Sant Joan, Plaça de la Sagrada Familia, Plaza Gaudi, and so on. 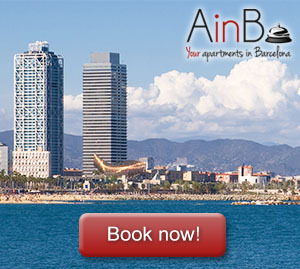 Therefore, this is an exceptional area where you can look for the best apartment to rent in Barcelona. But, how did Eixample neighbourhood look like a few years ago? How much has it changed? The greatest party of Barcelona is La Merce. Every year, around September 24, the whole city dresses up and every corner is a unique place where we can enjoy street art shows, music concerts or improvised performances. La Mercé is one of the most famous celebrations not only in Barcelona, but also in Catalonia together with Sitges Carnival and Girona’s Temps de Flors. More than 500 free shows in total are part of the rich cultural agenda that, for 4 days, is deployed in the Mediterranean capital. This year, the most important dates are from September 21st to 24th. The city of Lisbon will be the guest city.